I felt that this outfit was appropriate. It was simple and light for the beautiful weather here. I wore this skirt for my bridal shower last year and today it was a hit when I wore it again. I don’t know if its the sparrows or the color or maybe both but it sure did get me some compliments. Awh Thanks I Love It as well ! Thanks for stopping by Im glad I found another AZ blogger as well !! 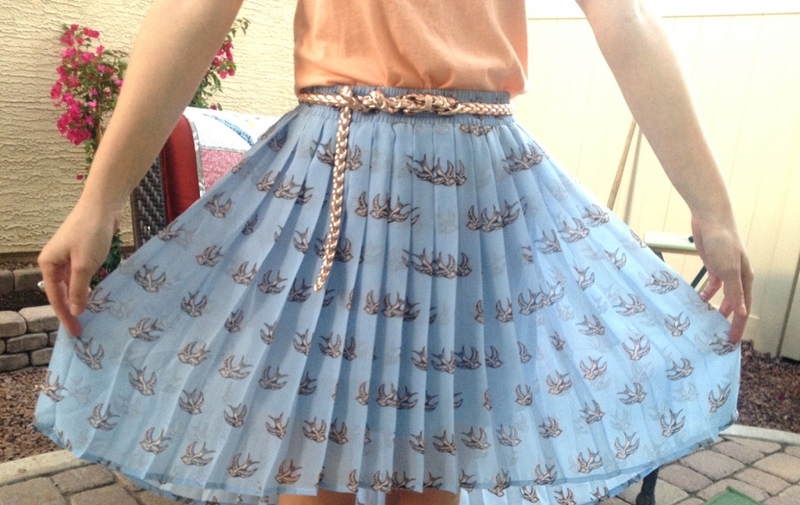 Loving the skirt, girl. And what do I see? An owl?! YES please. I love owls!